Bungay, Suffolk on the Waveney Valley Line. The view is facing west towards Earsham c 1964. 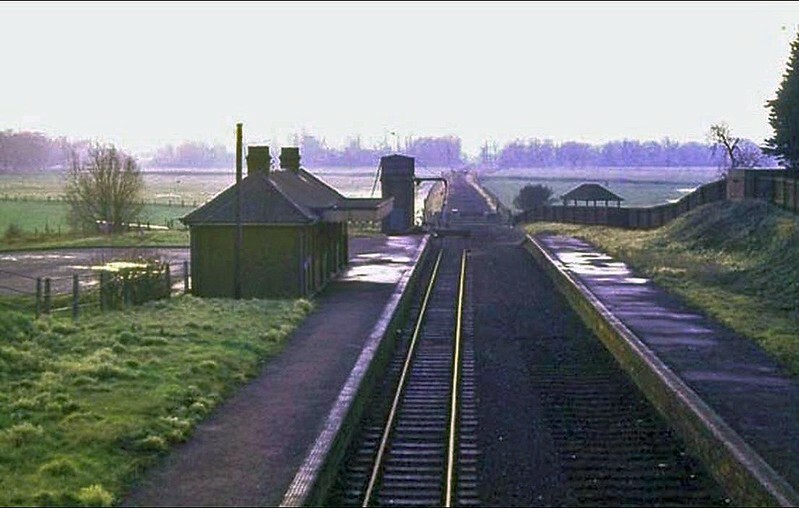 The station remained open for freight until 3rd August 1964 when the section between here and Ditchingham closed. Nothing remains today, the A143 Bungay bypass uses the track bed. Passenger services were withdrawn on 5th January 1953.